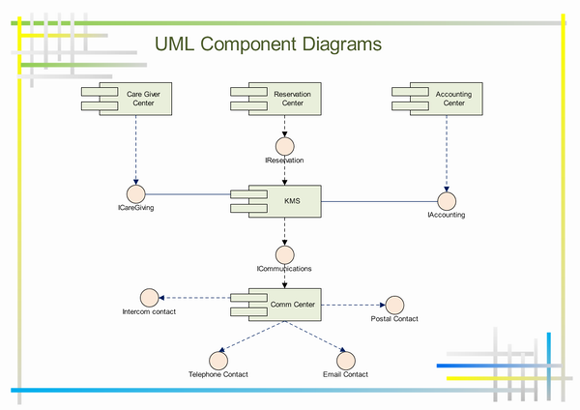 Use a component diagram (component diagram: An implementation diagram that shows the structure of the code itself. From a component diagram, you can learn about compiler and run-time dependencies between software components, such as source code files or DLLs.) to partition a system into cohesive components and show the structure of the code itself.